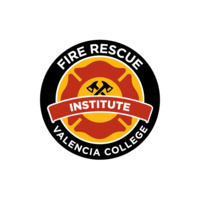 The School of Public Safety, Fire Rescue Institute will be offering Fire Fighter Minimum Standards for students who want to become career fire fighters. Attend a mandatory information session. All sessions will be held at the School of Public Safety, 8600 Valencia College Lane, at 3:30 p.m. Please check-in at the security desk when you arrive for the classroom number. You must attend one of these information sessions in order to receive an application to the MSC class. Dress is Business Casual: no shorts, hats or open toed shoes. You must have successfully completed an Emergency Medical Technician (EMT) or Paramedic (PM) course prior to attending this class. Monday, Wednesday, and Friday from 6 p.m. - 10 p.m.
Sunday from 9 a.m. - 6 p.m.
Tuesday through Saturday from 9 a.m. to 5 p.m.